Connolly, 1931, Ann. S. Afr. Mus. 29: 324. Daget, 1998, Cat. Bivalves Africains: 146. Appleton, 1979, Ann. S. Afr. Mus. 77(9): 161. 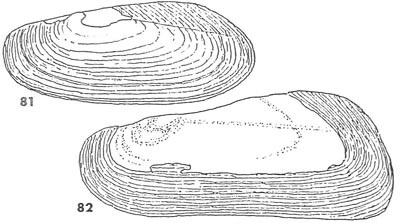 Mandahl-Barth, 1988, Studies on African Freshwater Bivalves: 85, figs. 81-82. Type(s): TYPE UNKNOWN, Zambezi River, between Kariba and Chirundu.